Choose 3 or more activities and save 10 percent! 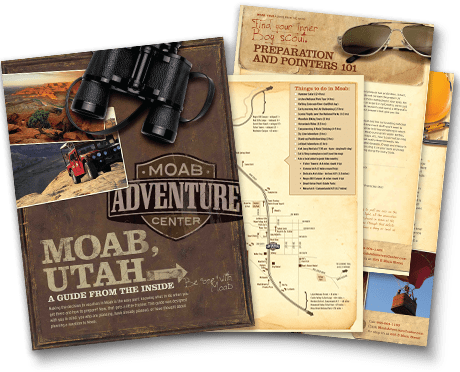 With over 50 years of guiding adventurous travelers through Moab, Utah and the Southwest, Moab Adventure Center not only offers guests the convenience of one-stop shopping, but also first-class vacations and activities. Enjoy the best guides & leaders, the newest equipment and gear, all-inclusive trips, deluxe camping, delicious dining, family friendly service - all with an emphasis on safety. Combine 3 or more of the following trips for a discount of 10% on your entire reservation! Call Moab Adventure Center today at (866) 904-1163. We'll help you create the perfect escape!